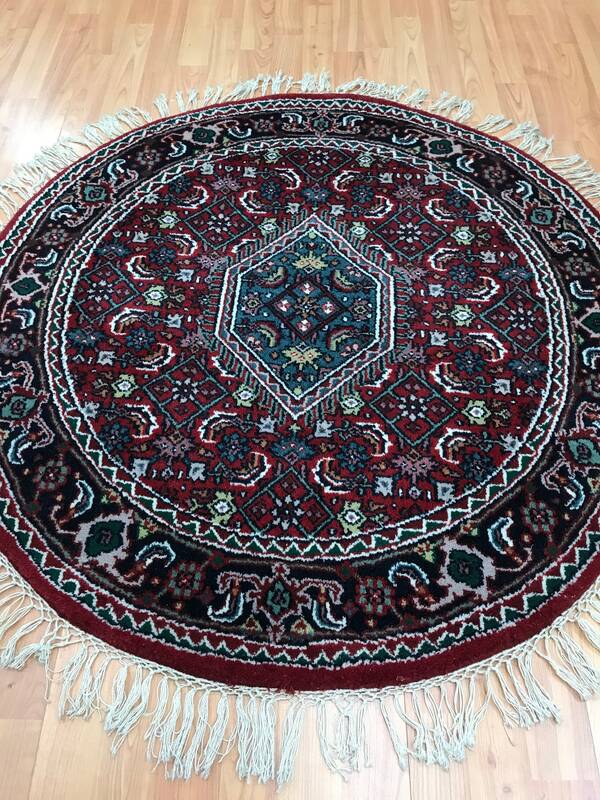 This beautiful Oriental rug is a brand new round 3' x 3' Indian Bijar design. 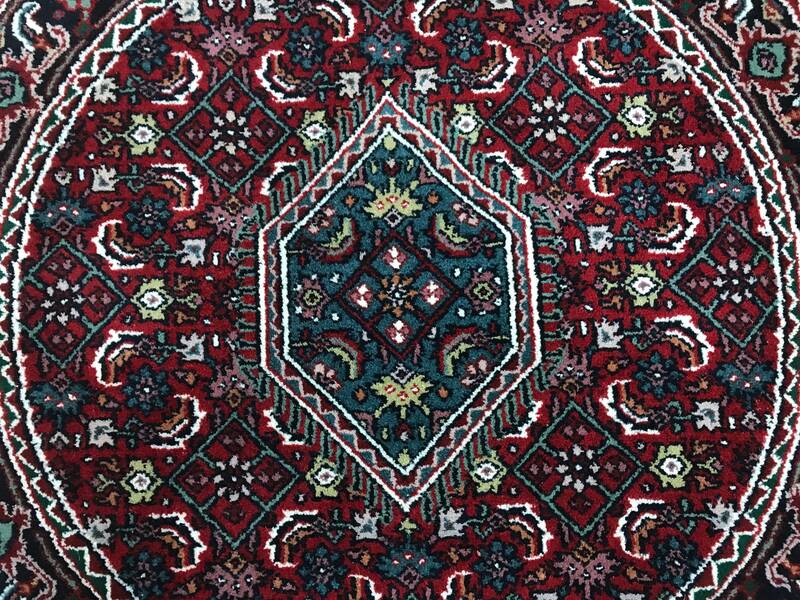 This hand knotted Indian Bijar is made with 100% wool. Bijar rugs (the 'Iron Carpet of Persia') are mainly woven by Kurds in Gerus and Afsha areas of Persia. 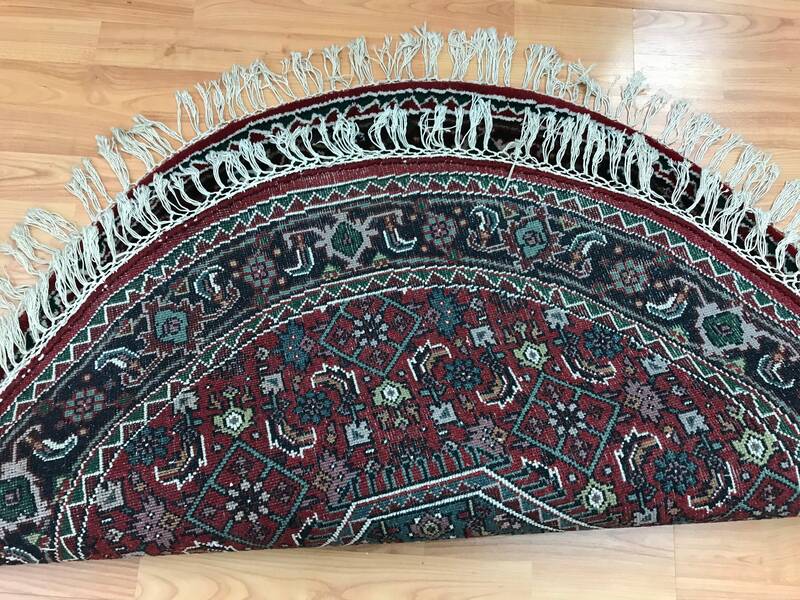 These rugs are unique in that they use two wefts making the carpet extremely heavy, stiff and durable. A thicker weft is beaten down tightly between rows of knots alongside a thinner weft in order to make the pile compact, so thick and dense that it stands vertically, preventing it from lying down. 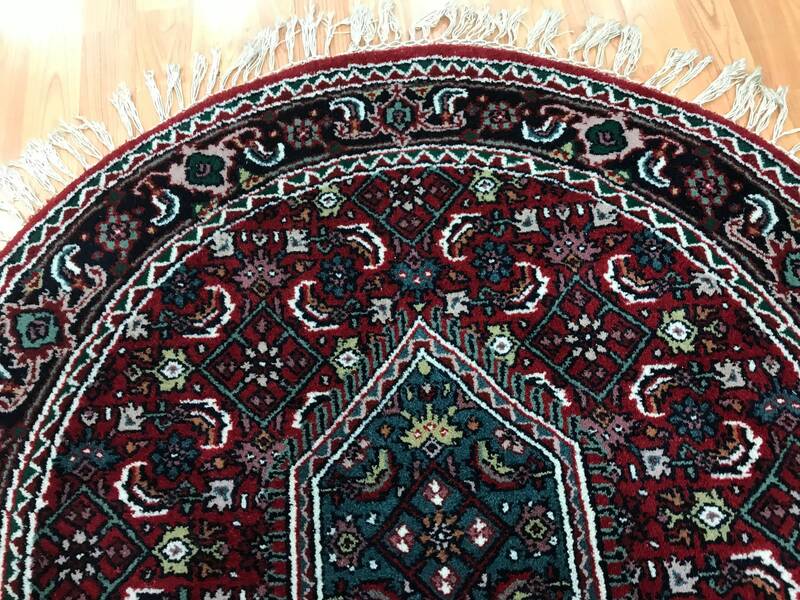 Bijar rugs are exceptionally tough, however, they should not be folded for transportation (they should be rolled) to prevent the tight foundation from cracking. </p><p>Foundation can be made of cotton, wool or camel wool depending on the age of the rug. The pile is invariably made of wool, clipped to a medium height. Patterns vary and are indistinguishable to other rugs however Herati and Mina-Khani designs are popular. Colours also vary with navy, cherry red, brown, light blue, pink, yellow, ocher, orange, beige and ivory all being used. 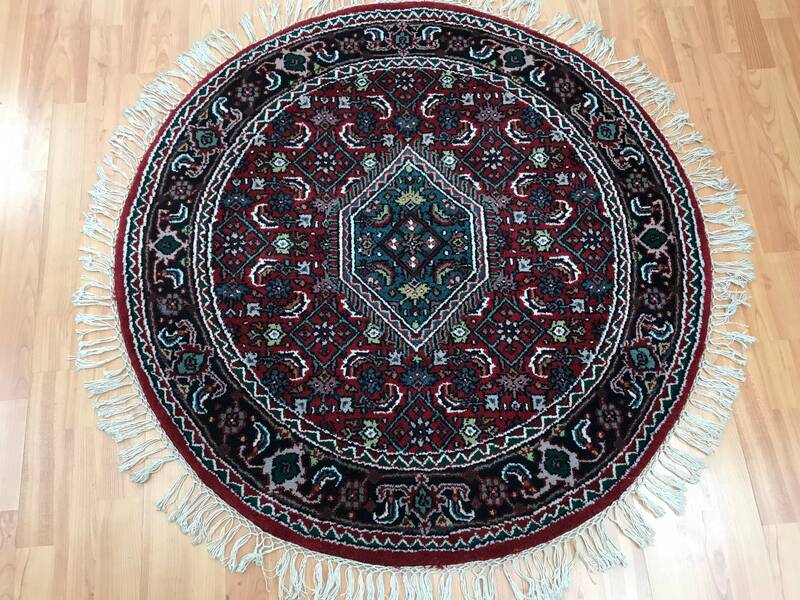 The method of identifying a Bijar is by its weight and tight structure, unique to other rugs. Sizes vary enormously; it is possibly to find both very small rugs and those much larger in size. 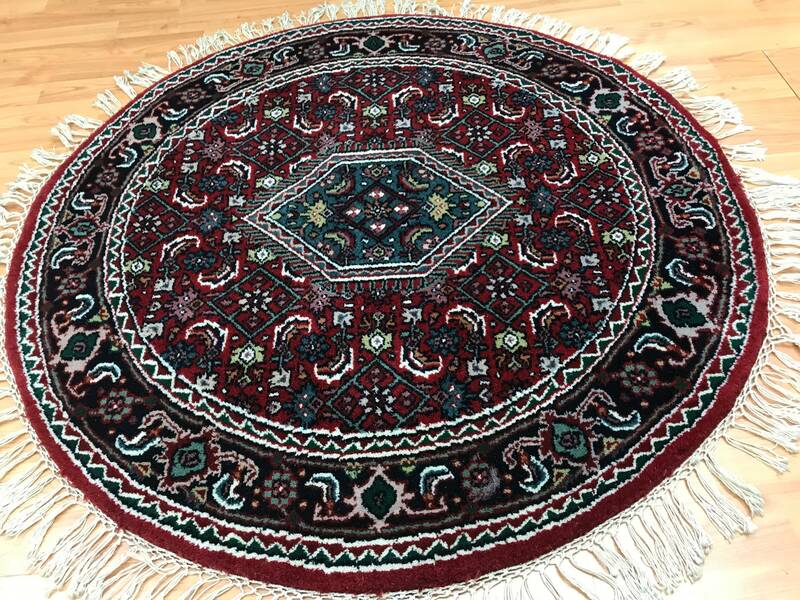 Their popularity, strength, durability and the fact that so much work and material is put into their creation means that Bijar rugs are some of the best, and most expensive rugs on the market.